Safe Teen Driving Blog - Page 8 of 67 - Safe Teen Driving Blog - Providing a solid base for teen drivers by improving behavior, attitude, skills and experience. The written portion of the Florida driving test was changed last year and, apparently, a lot of people are having a hard time passing the newer version. According to the Florida Department of Highways and Motor Vehicles, the old test hadn’t been updated in 20 years and many of the questions could be found online so it was decided that the time had come to update the test. According to a spokesman for the Duval County, FL Tax Collector’s office, the previous test had a failure rate of about 40 percent. Since the new test was introduced, the failure rate statewide has increased to almost 70 percent. The previous test consisted of a total of 40 questions with 20 questions on road rules and 20 on road signs. The new test consists of 50 questions with 45 on road rules and 5 on road signs and it also also requires a passing rate of 80% compared to the old passing rate of 75 percent. There was no time limit on the old version of the test but the new test has a time limit of one hour. The new test draws the 50 questions from a total database of 1200 questions so if someone has to take the test again, he or she is unlikely to see the same question twice. There’s no charge for the first test but, if a prospective driver fails the test, each re-test costs an additional $10 plus a $6.25 service fee for a total of $16.25. Before attempting to take the Florida driving test, prospective drivers should study the driving handbook and can benefit from taking online practice tests. A teen driving app for smartphones, developed by the University of Minnesota’s HumanFIRST Laboratory, is showing a lot of promise as an effective tool to modify teen driving behavior and keep teen drivers safe on the road. There have been a lot of apps and different products developed over the years with the same intent but the developers of this app claim that this is the first developed based on years of scientific research. Funded with $2.5 million by the Minnesota Department of Transportation, the HumanFIRST Laboratory spent almost ten years examining the issues surrounding teen crashes and developing the app. Those studies were followed up by a year-long, in-vehicle study involving teens and their parents. Prohibits the use of cell phones while the vehicle is in motion except to make 911 calls. Warns the teen driver if he or she is speeding or running a stop sign or red light. Warns that the teen is driving aggressively. Warns the teen that parents will be notified if the dangerous driving behavior continues. Notifies parents via text message if the warnings fail to stop the dangerous driving behavior. Provides parents with a website that documents the teen’s driving behavior over a longer period of time. Drivers with no app (control group). Drivers with app that provided warnings but didn’t notify parents. Drivers with app that provided warnings and notified parents. 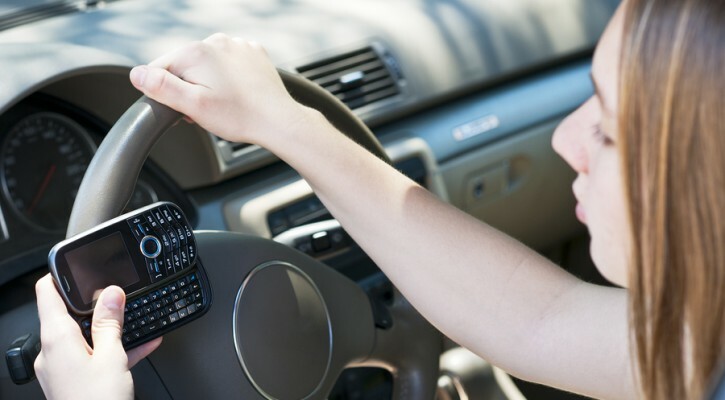 The teen drivers without the app showed a greater tendency to engage in distracting and risky behaviors such as, speeding more than seven mph over the posted speed limit and using the cell phone both for calls and texting while driving. The app that only provided warnings was highly effective in modifying teen driving behavior but, as might be expected, the app that provided both warnings and parental notification had the most dramatic effect on the teen’s driving behavior. 60 to 75 percent of teens had a favorable opinion of the system. 90 percent of parents would recommend the app to other parents of teen drivers. While the TDSS teen driving app isn’t yet available for general use, the University of Minnesota’s Office for Technology Commercialization is studying the system and the team hopes it will be available for general use within a year. 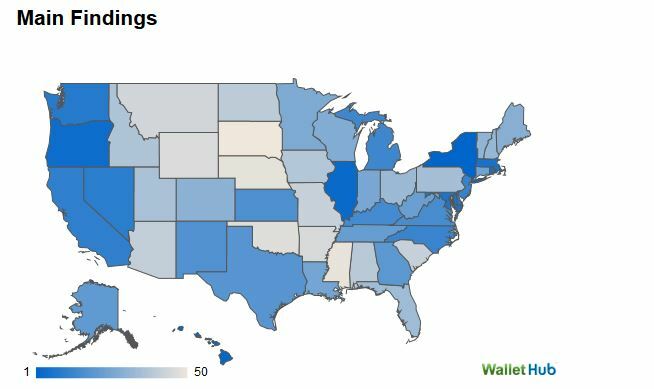 In a list of best states for teen drivers, Florida ranked 34th according to a survey conducted for Wallet Hub. Wallet Hub is a website designed as a one-stop site to help individuals and businesses make financial decisions and their teen driver survey is primarily focused on the financial aspect of teen drivers in the home. However, teen driver safety issues and laws designed to keep teen drivers safe play a big part in the total cost of teen driving. A correlation can be seen between strong graduated driving license laws (GDL) and teen driver safety. 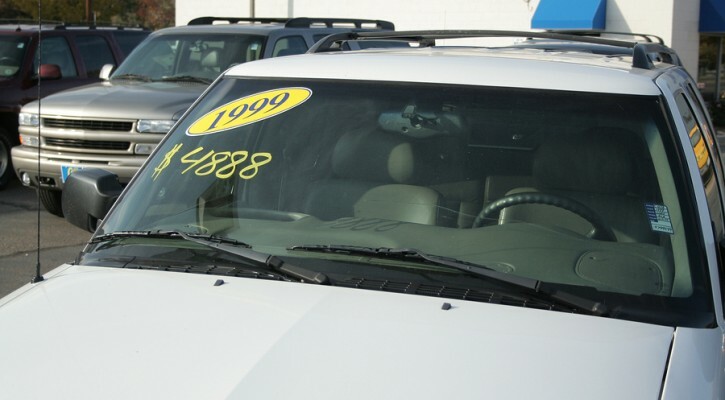 Several studies have shown that states with strong GDL laws have lower teen fatality rates. The Insurance Institute for Highway Safety (IIHS) created a GDL crash reduction calculator that shows Florida would experience a 20 percent reduction in insurance rates and a 45 percent reduction in teen fatalities if the state were to adopt the strongest GDL laws on the books in other states. 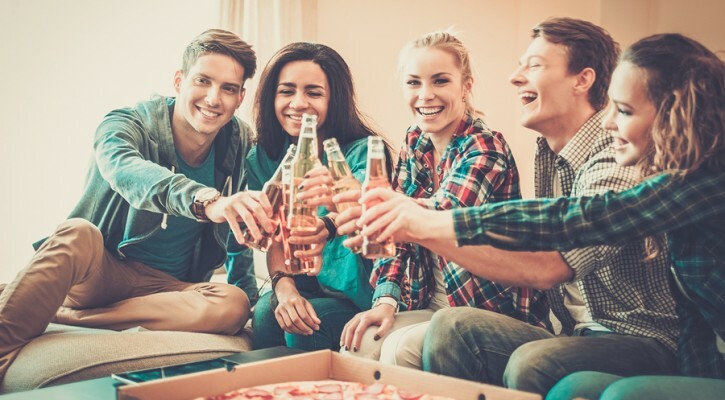 A new study shows that most parents are aware of alcohol use at teen parties hosted in their homes. This disturbing fact came to light in a study printed in The Journal of Primary Prevention. The researchers gathered their data through phone interviews of 1,121 teens in 50 mid-size California cities over a two year period.